Hannukah has fried food: sufganiot, levivot(latkes), and just about anything else that’s oily and can contribute to heartburn. 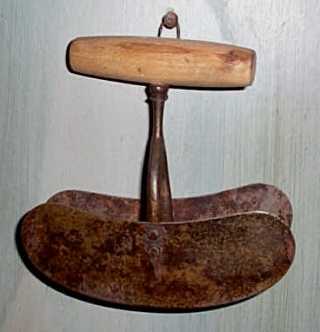 When I was a kid, I remember the grating box and the endless pile of peeled potatoes, and wielding our family’s double-bladed chopper and matching wooden bowl (whose concavity matched the arc of the blades… I miss that one!) to chop the onions. We kept a kosher household, so using the wooden bowl meant the entire kit and kaboodle should have been fleishik, but for some reason my mom gave this little transgression a pass in favor of well-chopped onions. When we were done we’d sit down to devour crispy patties of finely shredded potatoes, crunchy and oily, with gobs of sour cream or a soothing coating of applesauce from a glass jar. This is not my mother’s latkes. I wanted to lighten the batter, and make it a little more interesting. So… I’ve come up with a puff-“Daddy” version of the dish. Think beniet. Think wierd. Think tasty! See my applesauce recipe for another important piece of this holiday meal. Peel the potatoes; I very strongly recommend organic ones! Pop the peeled potatoes into a 5Q mixing bowl filled with water to keep them from going brown, red, or whatever color they would otherwise morph into. Toss the potatoes into a food processor with both the grating blade and the frappe blade engaged. Engage. Put a large, heavy skillet (cast iron is best for heat dissipation) up on the stove and pour in about 2/3Q canola oil. Yes, heat it! I hand-chop the onion, but I guess one could frap the onion. Add it to the potatoes. Beat the eggs well in a separate dish. Dump the potatoes and onions into the dry ingredients and mix until everything is nice and coated. Add the beaten eggs and still everything around some more.At this point, it should look like an especially lumpy pancake batter. Don’t worry about small chunks of potatoes or onions. Just make sure everthing is well mixed. Don’t overmix. Test the oil. When it’s hot enough for things to froth quickly, take a spoon and ladle in about 1/4C batter at a time into the skillet. Make sure the spoon is really close to the oil to prevent excessive spatter. Once you’ve got the levivot in, wait about a minute, then roll them over. If you wait too long you’ll see a ‘hernia’ of raw dough boiling up at the surface of the uncooked side. Looks funny, but not a problem. Give it about three minutes once rolled over, then another two after you roll it back. Dump them into a bowl lined with cloth or paper towels. Important: After each batch, use a strainer spoon to pick up all the little puff balls (droplets of batter and got fried separately). This will keep them from burning and making later batter batches bitter. Broadly. Serves 8-10 people (2 families).